we have been living in our farmhouse for almost two years & i still have such a long list of projects to complete. although my style will continue to evolve & new projects take shape, i'm using the next couple of months to shorten that list of farmhouse to-do's. today i am happy to share that i have checked off one item from our project list! 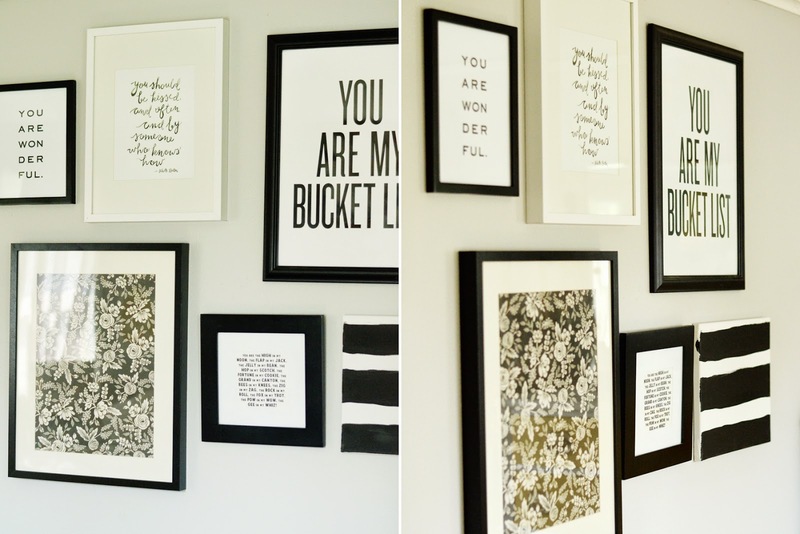 i have wanted a black & white art print wall in our home for such a long time. 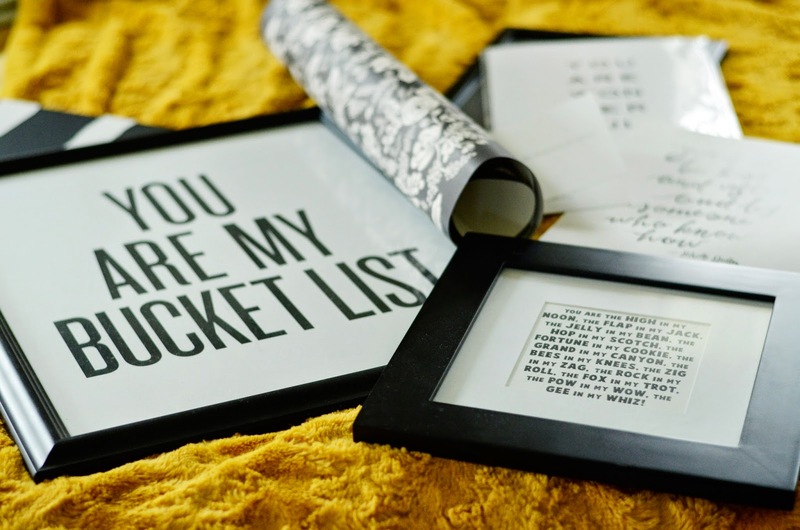 it all started when i purchased the "you are my bucket list" print from shindig paperie. once i framed & hung that piece in our bedroom, i knew i was hooked. 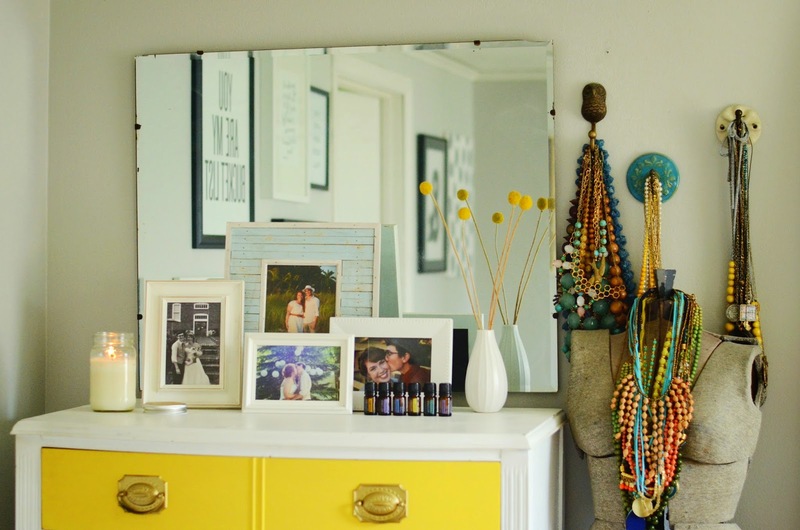 i began collecting pieces from here & there until i had enough for my entire bedroom wall. i chose pieces that were a positive reminder of our marriage (most days). 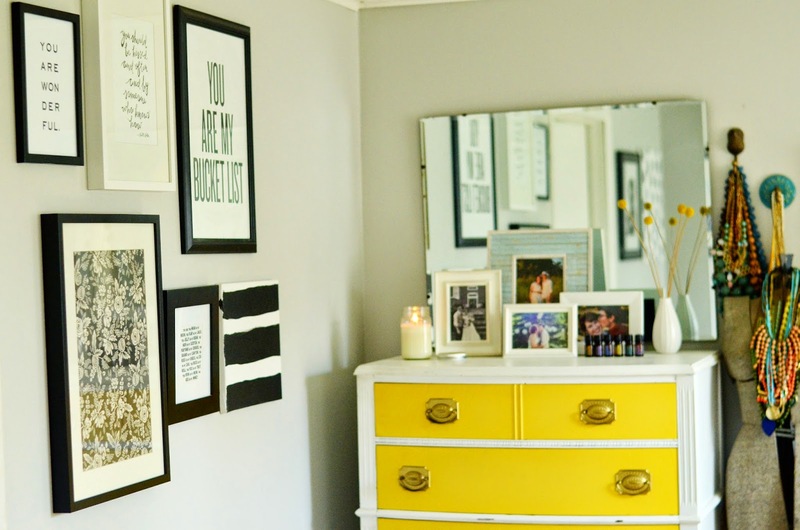 i used a variety of simple black & white frames from hobby lobby & ikea. i just love how it all looks together & i cannot wait to continue adding to our wall until it's covered from floor to ceiling! what are some projects you have in the works throughout your home? please share! Love this idea! 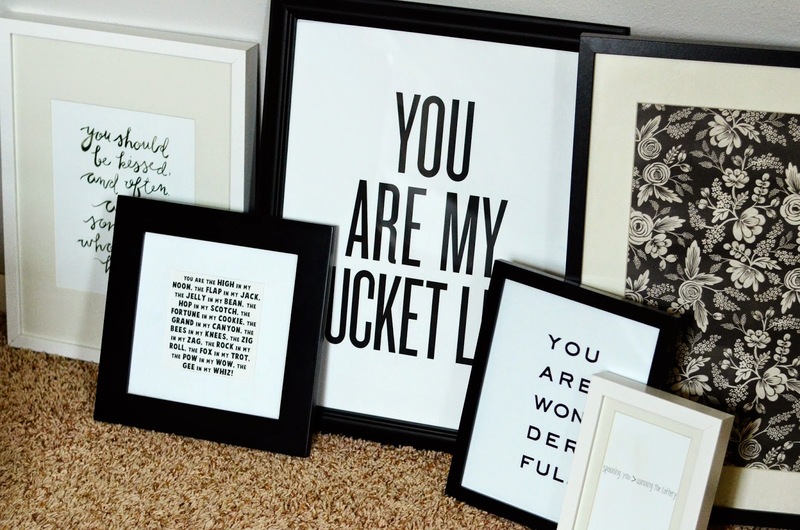 It would be an easy one to keep cheap because you can make your own typography prints too!